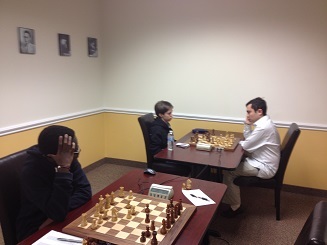 In yet another highly competitive top quad it was FM Leif Pressman and NM Nicolas Checa who tied for first with 2/3. CCFC regular Ryan Young won quad two defeating two higher rated opponents along the way. CCFC Director Melvin Patrick had the only perfect score of the night and pushed his rating back over 1700!